I don’t know. Never seen those before. I’m gonna guess someone put the round COX name sticker on the case to cover the actual name/emblem? If it IS a COX product display box complete with toys it ought to be worth a bunch of money like those TD010 mounted in a glass globe. I guess that these toys were made by Cox for HO scale train sets. I’m too far into Airplanes, Cars and Helicopters to start a new HO train collection! I'd like to have some Cox HO rolling-Stock actually. 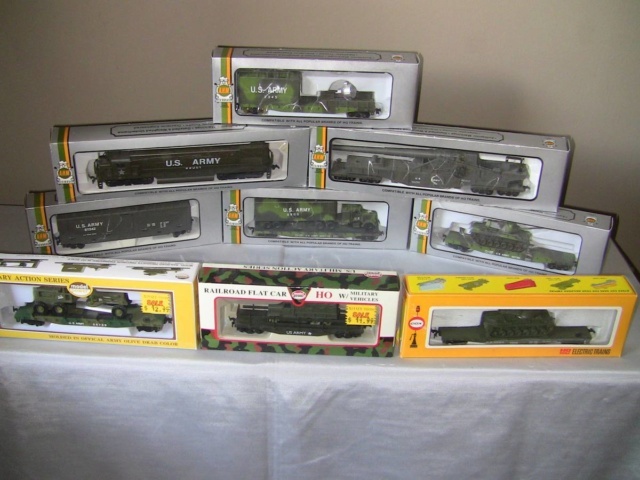 I have a "very-small" box of HO train gear that I've saved... for longer than I have; my model-airplane gear.